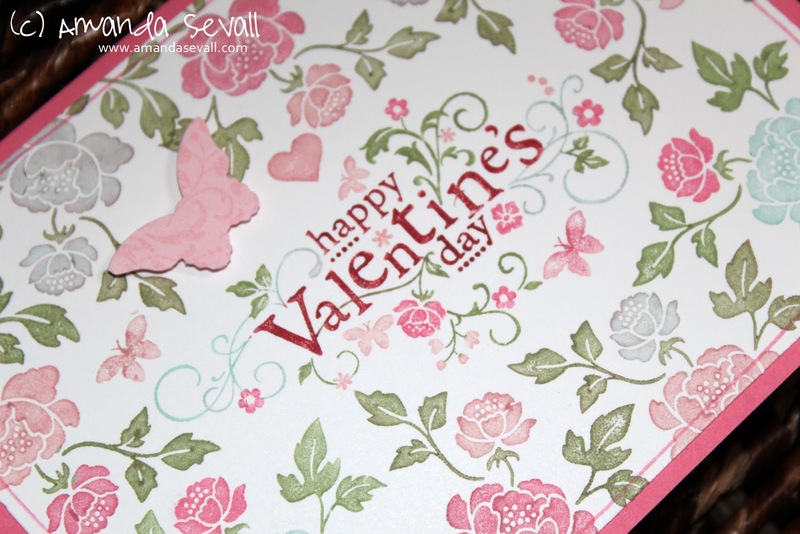 In the end I had a small gap above the word happy so I found a small heart stamp and filled it in. I also added a few extra butterflies if you look carefully! To finish it off, I took one of the stamps and used it to make a pattern on a scrap of paper so I could punch out a butterfly. 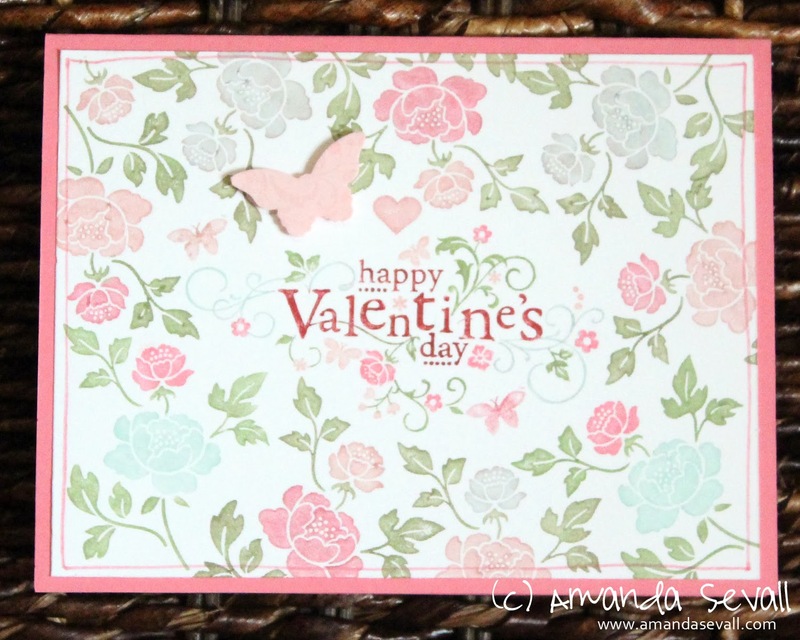 It was a fun card and I am so glad that I finally used this stamp set! So pretty! I've spent some time staring at it to try to figure out how many different stamps you used! 6? 7?